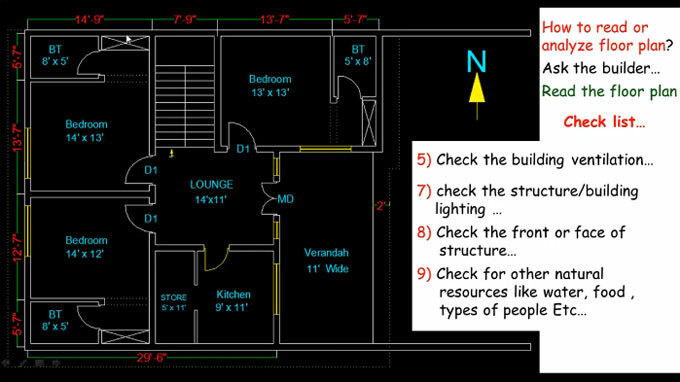 In this construction video, one will be familiar with how to read a floor plan efficiently. It is very crucial when you intend to buy a new flat that is under construction or ready for buying. Floor plan is used to design and construct a home. c. Position of doors, windows, ventilators, stairs, lift etc. A floor plan is a useful tool that facilitates the real estate agents and leasing companies to sell or rent out a space. To gather more information on floor plan, watch the following video tutorial.